Vyaire Medical hosted several days of leadership workshops in Chicago, Illinois. 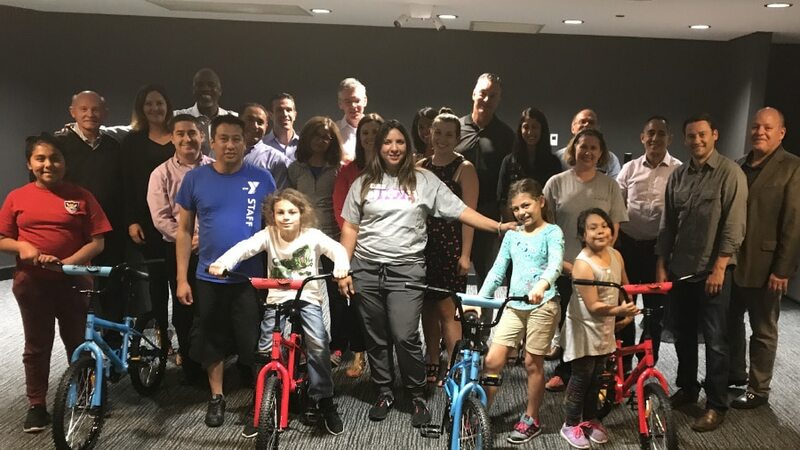 They decided that a Build-A-Bike ® activity was the perfect way to get their group out of chairs and into some fun team building activities. They were a hardworking group of 22 supply chain professionals gathered from around the world. Like many successful groups, they were highly competitive and teased each other as some groups assembled bike parts faster than other groups. In the end, teams switched from competition to cooperation as they shared bike parts and expertise. They were especially delighted when their surprise guests, four eager children from the local Rauner YMCA, ran into the room to claim their newly constructed bicycles. The teams quickly adjusted seats and put air in tires so the kids were ready to go. The group is now looking to bring The Leaders Institute ® back to lead more Build A Bikes for other locations. For more details about Build-A-Bike ®, click here. For details about other team building activities in Chicago, Illinois, click here.